After graduation, Alex went into robotics, first in the film industry and then in medical at Intuitive Surgical. To increase his “entrepreneurial tool set” he went to business school and then took a job at Guidant to learn “best practices”. Describing his only large company experience as “not notably successful”, he then went to a start-up, Converge Medical, before he headed up product development at InSound Medical (https://biodesignalumni.com/2010/07/04/david-thrower-%E2%80%93-insound-medical/). After being fired from InSound in one of the company’s multiple internal purges, he started Loma Vista Medical (LVM) in his garage. He spent several months evaluating multiple potential options before settling on colonoscopy. Alex felt this space was a good fit to his skill set: it featured a vast, growing market that had antiquated technology, multiple unmet clinical needs resulting in significant waste, and it was a procedure of known clinical utility. He knew other companies that were funded in the space, and he thought that he could create something better. Mark finished both a BS and MS in mechanical engineering at Stanford and, upon graduation, went to work at Interval Research, doing early work on robot/human interactions. After Interval Research closed in 2000, he began working at the Lawrence Berkeley National Lab, helping to build an internal consulting group specializing in rapid modern design thinking within the context of a scientific lab. This was both a fascinating and frustrating experience and increased his desire to work in a small, nimble organization. After being swept out of LBL in a seniority-based RIF (Reduction in Force), Mark co-founded a start-up building nanoscience tools for electron microscopes. He learned the basic ropes of start-ups but left the company for personal reasons in 2007. 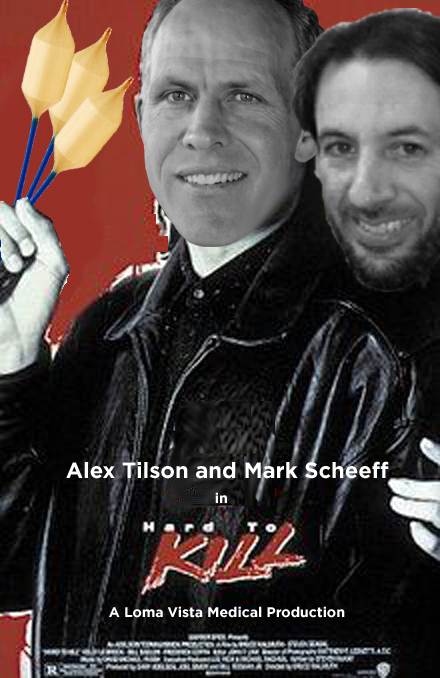 Shortly thereafter, Alex hired Mark first as a consultant, then as the company’s first employee. Alex and Mark quickly developed a reputation as strong, honest and persistent engineers that believed “in telling good news early and bad news earlier.” Mark and Alex were given $200K in convertible debt by De Novo Ventures in no small part because of this reputation. They grew slowly and hired carefully as they iterated designs. They preferred people with high energy and hands-on design experience over those with high GPAs. Despite determined efforts, they were never able to get their colonoscopy prototypes to work on the bench-top. They knew that if they couldn’t get it to “really work” in a controlled environment, it stood no chance in real life. This led them to make their first of two pivots. At this time, kyphoplasty was hot, and they had heard stories of the Kyphon balloon having challenges in the clinical setting. Their insight was: “To create a stronger balloon, use stronger materials.” Alex’s friend from Stanford was working on flexible composite sails for sail boats, so they approached him and his company to help develop a composite balloon. It was very clear that this material would be superior in medical applications, but there were multiple things that stood in the way: contractual relations, exact material choices, and what would be years of manufacturing challenges. About nine months into the relationship, problems became evident. Building a balloon was the essential work of Loma Vista Medical but merely a dalliance for the composite sail company. This led to predictable problems with hitting deadlines and specifications. Plus, it became clear that building a sail and building a balloon were very different things. LVM decided that manufacturing was to be to a core competency and began developing the processes and trade secrets that would eventually become key to their acquisition. Mark stated that, “Once you’ve lived and breathed a technology, what is obvious to you is probably not obvious to everyone else.” By owning the manufacturing, they turned their biggest challenges into a valuable strength. As they pivoted from colonoscopy to being a “composite medical balloon” start-up, it was clear that the challenges would be considerable. Despite reservations on the part of their funders, they threw themselves in, spending over 50% of their funding on developing a manufacturing infrastructure. “We knew that there was no one else who could help us,” Alex said. “If we couldn’t make it work, we would die.” On the corporate front, potential partners were intrigued, but they certainly wanted more. Kyphon asked for a 50-unit demo, but the team could only produce a handful that weren’t quite ready for prime time. As they tried to improve their yields Alex and Mark saw head winds in the kyphoplasty space. Alex knew, as a competitive biker, you could be the best in the world, but you’ll seem mediocre if you are going against the wind. Soon after the Medtronic acquisition of Kyphon, they saw the number of kyphoplasties falling. Additionally, a study appeared in the NEJM which questioned the clinical efficacy of kyphoplasty. Though the study had clear deficiencies, the perception of kyphoplasty had changed. A trip to the North American Spinal Society meeting in November 2009 further confirmed the view that the kyphoplasty procedure was on a downward trajectory. They began to look to other areas. Luckily, one of their board members happened to take a consulting job for a company called CoreValve. CoreValve would go on to be one of medical device VCs’ great successes of the decade, but at the time this was far from clear. Nevertheless, he persuaded the team to create some prototypes to support their valve system. He believed that transcatheter (aortic) valves would be a big opportunity, and that they would require accessories, including dedicated balloons much better than the ones currently available. In one memorable day, they took their first transcatheter balloon, drove up to Sacramento, did a pig test, edited their video over lunch, and then drove that same afternoon up to present the prototype and video to Medtronic in Santa Rosa (who had recently acquired CoreValve). They expected Medtronic to be wildly enthusiastic. Medtronic was intrigued, but they did not act. Getting a corporate partner from ‘intrigued’ to ‘act’ would remain an ongoing challenge. Despite Medtronics response, they decided to pivot a second time, from kyphoplasty to valvuloplasty balloons to support transcather aortic valve implantation (TAVI). After several years of effort, their technology had gelled and they could pass verification and validation testing. They filed for CE Mark, were approved, and began selling in Europe through distributors. At the time, the TAVI valve space was a duopoly composed of Edwards and Medtronic (CoreValve). Though the LVM balloon was unquestionably better than the existing balloons, Edwards gave away their balloons as part of their kit, so LVM products were sold primarily into Medtronic cases. Though the Edwards cases proved difficult to penetrate, they did very well in the Medtronic cases, gaining roughly 65% market share in Germany within six months. As they got more use out of the balloon for TAVI, they were building a large body of independent reviewers in the interventional cardiologists who loved their product. Since the acquisition of CoreValve by Medtronic, they had brought on many of the former CoreValve distributors to Loma Vista as distribution reps and also as investors. Despite the positive feedback from the field, the interest needle at Medtronic didn’t seem to budge as Alex and Mark continued to have the same FAQ meetings with new business development folks over and over again. There were also many meetings with other potential acquirers. Throughout the selling of the company, Alex and Mark “always kept running to [their] plan until the acquisition checks [cleared]” because focusing on making a deal would slow and distract from their progress, leading to loss of leverage with other potential acquirers. Additionally, they simply didn’t know when and why acquirers would act and didn’t want to be at the mercy of that reality. In their eventual deal with Bard, they purposely sought a significant upfront payment because they knew that historical returns on milestone payouts were only about 20%. Medtech acquisition deals are difficult. They can take a highly significant number of interactions to complete, and can be derailed for a host of reasons. Part of the problem is that the acquirer often benefits from a protracted negotiation as they try to starve a company out. It is critical that the start-up be able to look the potential acquirer in the eye and make it very clear that they are growing stronger each day, not weaker or more desperate. It was a long and arduous process that left them with quite a few battle scars: turn-over in business development leading to repeated presentations and answering the same questions at the same companies, a fundamental lack of understanding on a corporate level of the business-level technology, and a failure to see synergies between Loma Vista products and their product lines across divisions. Alex’s conclusion from this was that relationship-building is a key. Given that there are so many pieces in motion, it is critical to start with a larger number of potential acquirers in order to close a deal at a reasonable price. In a different analysis, he shared data on the expenditure differences between a typical “old school VC funded start-up” and LVM. Spending on R&D and manufacturing were quite similar. The biggest differences were in the costs for marketing, G&A, and sales. It was particularly enlightening to think about how different cost centers affect your burn rate, which essentially acts as the ally of a potential investor or acquirer. As engineers, LVM costs were fairly well contained. At LVM, total expenses tracked quite well to twice their combined salaries. Sales launches are a time of fantastic opportunity, but they are also a time of many risks that are often unappreciated and associated with a significant increase in burn rate. For this reason, they were cautious about how they expanded sales and kept their structure flat. Up until launch, all of the people in the company were technical or were assemblers. To prevent funding starvation in a protracted negotiation, it is important to be as lean as possible. Ultimately there were even a few months where they were not able to pay their employees, which was scary for everyone, including the investors. For Loma Vista, lean means money is expensive both to get and to have, so be careful. In summary, through their journey building Loma Vista together, Mark and Alex stayed true to their engineering roots. They owned the challenges they faced, building in-house expertise where it mattered; they lived lean to stay alive in dry spells and pivoted when necessary; and they were constantly learning through analysis of the data they collected from running their business. Ultimately, they were bought because their product worked, fulfilled a need and was very hard for anyone else to copy. Evan Anderson (John B. Simpson Biodesign Innovation Fellow, 2004) is a medical device development consultant with a background in clinical need identification, sales channel strategy and project management.